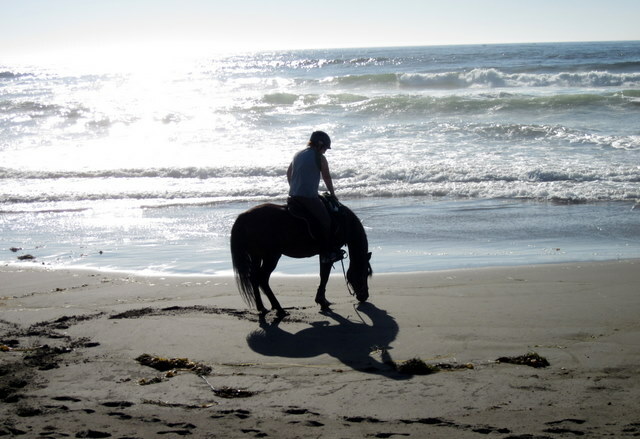 The title of this post really says it all but… yesterday evening I loaded up Blaze and took him up to 10 mile beach to meet my good friend and former Ricochet co-worker R for a ride. 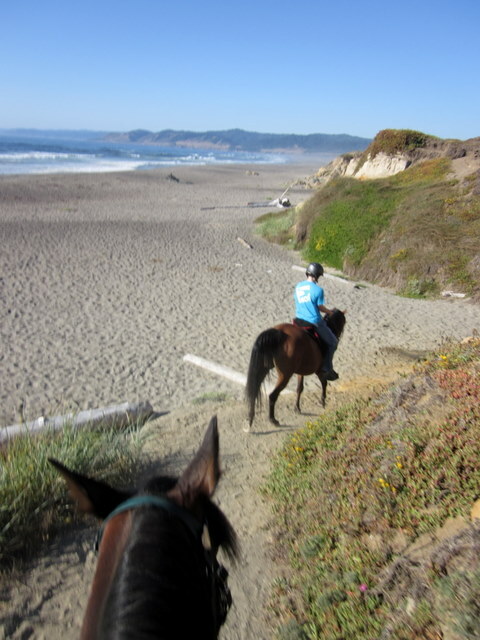 R boards her horse just up the road from Ricochet so she rode down and met me at my parking spot and we headed out together through the short woods trail, out onto the old logging haul road, and then down onto 10 mile beach itself. Blaze was wonderfully calm as usual and gamely followed R’s beautiful bay Arab down onto the sands. 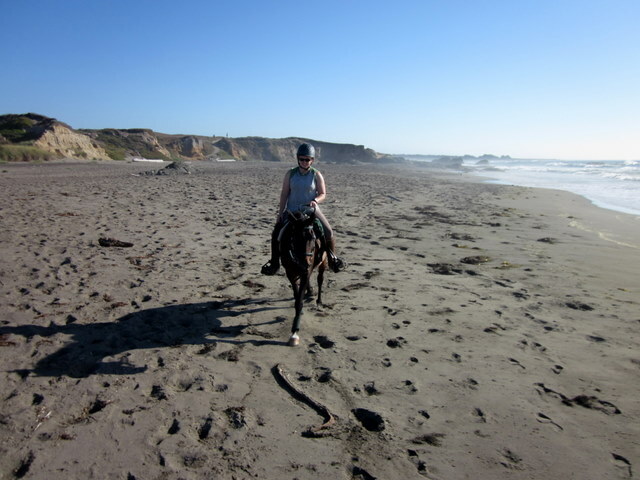 As one might expect, riding in the deep sand on a 14 hand horse feels pretty different, folks! Its a whole lot of work for a little fellow like Blaze to slog through that sand but he did wonderfully and even went right down to the waterline and gave the wet sand and bull kelp a hearty sniff. 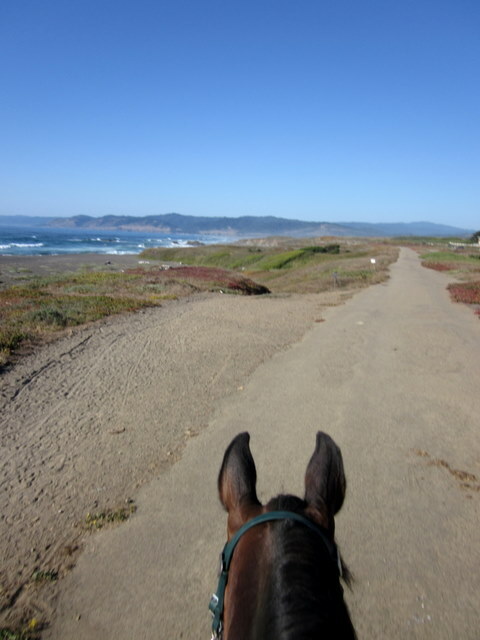 He did the usual horse speed-reverse when the waves came lapping at his toesies but that was the extent of his “wild Arab” reaction to his first beach ride. Hooray for sound minds! Haha, he's such a good horse. Love the ocean pics! oh, that looks like so much fun! 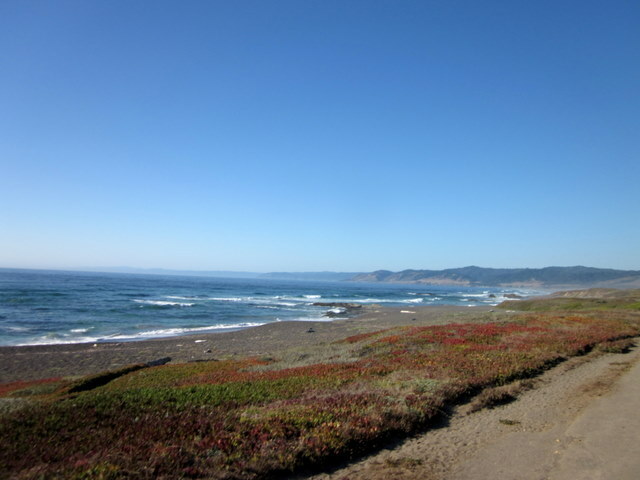 I love that beach. In my dreams I canter along, wind blowing in my hair. 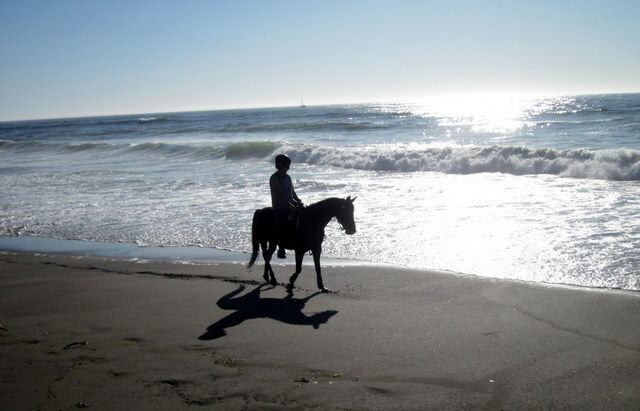 In real life I'm sure my horse would snort at the waves and then proceed to try and eat the kelp. Your horse was so good! What a fun end to your weekend of adventure.